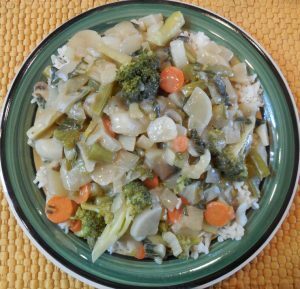 Bok choy broccoli daikon mushroom stir fry vegan recipe is a delight to satisfy any Chinese food lover’s taste. 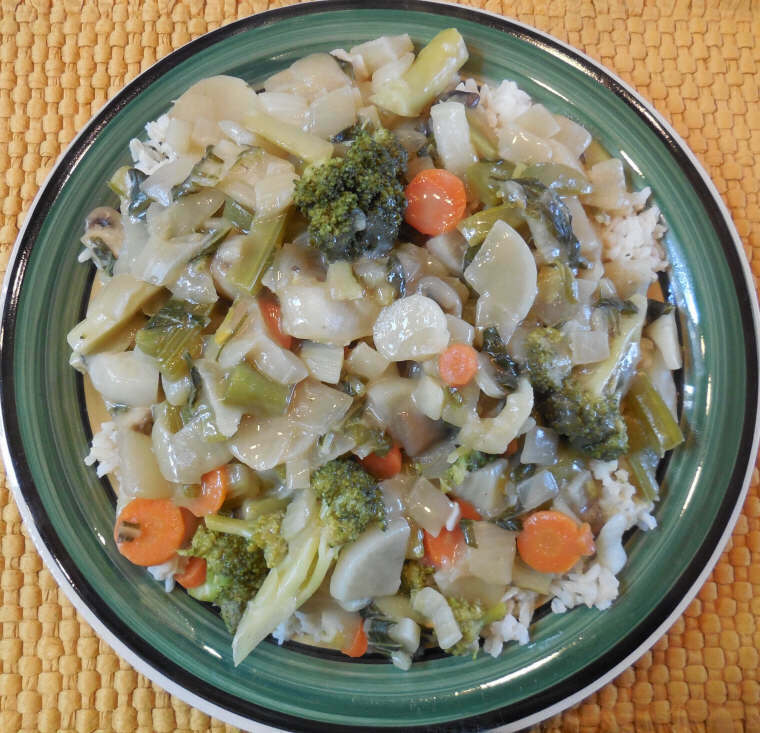 We prepare the bok choy broccoli daikon mushroom stir fry in our stainless steel electric wok, which allows us to make enough to make 8 hearty servings over a bed of brown rice, as shown in the photo. The leftovers are great, too, which allows us not to have to cook a meal ever day. While the water is heating, wash and clean the fresh veggies, remove the seeds and stem from the peppers, and peel the onions, carrots, daikon and garlic. Cut the veggies into bite-sized pieces, place in the wok, crush the garlic and add to the wok, add the ginger, and a little water (1/4 cup) to keep the veggies from burning. We also like to cut the celery and any broccoli stems into julienne strips.